Curly Hair Genius – People with curls unite!! We will love the beautiful, complicated heads of moving hair … with all our beautiful, complicated hearts. Lyn closed her hair styling business in late 2018. The memorial gathering for Lyn Moelich will take place March 24th (right after Lyn’s birthday) from 4 to 7pm at Sunnyside Community House, 3520 SE Yamhill St, Portland, OR 97214. Please come and bring your photos and memories to share. Established clients are welcome to come, and to join our Memories of Lyn Moelich facebook group. In this intimate curly hair salon in NE Portland, OR’s Hollywood District, you will find every service related to keeping your natural curls beautiful. 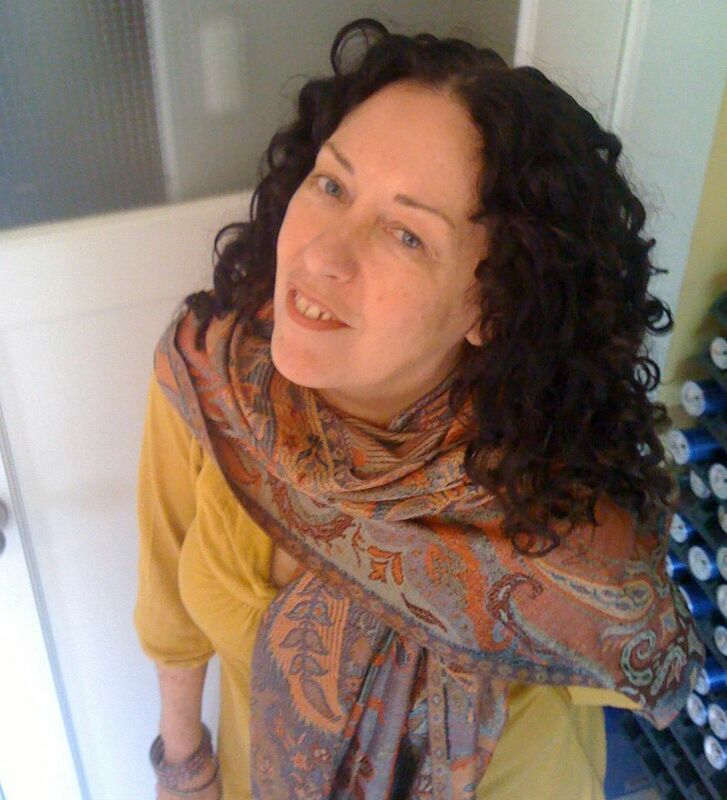 Lyn is a Deva Inspired Advanced curly hair stylist. In addition to your DevaCut curly hair cut or Pintura color, Lyn will show you how to use DevaCurl products to the best advantage of your personal curls. There’s plenty of on-street parking in the neighborhood, and we’re right on the #12 bus line. By appointment only. Need a curly hair cut by a curly hair stylist at a curly hair salon? If you have waves, curls, and/or coils, sometimes it’s not so easy to love your hair. Lyn Moelich says it doesn’t have to be that way. Lyn is a Deva Advanced Stylist and the proprietor of Curly Hair Genius, a Deva inspired salon and DevaCurl retailer conveniently located in Portland’s NE Hollywood neighborhood. As a curly girl herself, Lyn gets curly hair. With her wide-ranging experience and her professional training at New York’s Deva headquarters, Lyn is expertly qualified to curly coach you on your hair care daily routine, so that you always have amazing hair days with healthy, bouncing curls and lots of compliments. Whether your hair is wavy, loose curls or the tightest of ringlets, if you leave your curls natural or use a range of products, you’ll receive the best of Deva curl care at Curly Hair Genius. Lyn dry-cuts curly hair, taking into account your unique curl pattern and texture as well as porosity, length, width and hair density, and her styling techniques and DevaCurl products add definition. Lyn can help you have the hair you’ve always wanted – curly hair you’ll love. If you’d like to set up a consultation, cut, or color, or would just like some questions answered, call or e-mail today.